It’s time to indulge in another fun family event! Rise & Shine Family FunFest will be shining on the town in few days! 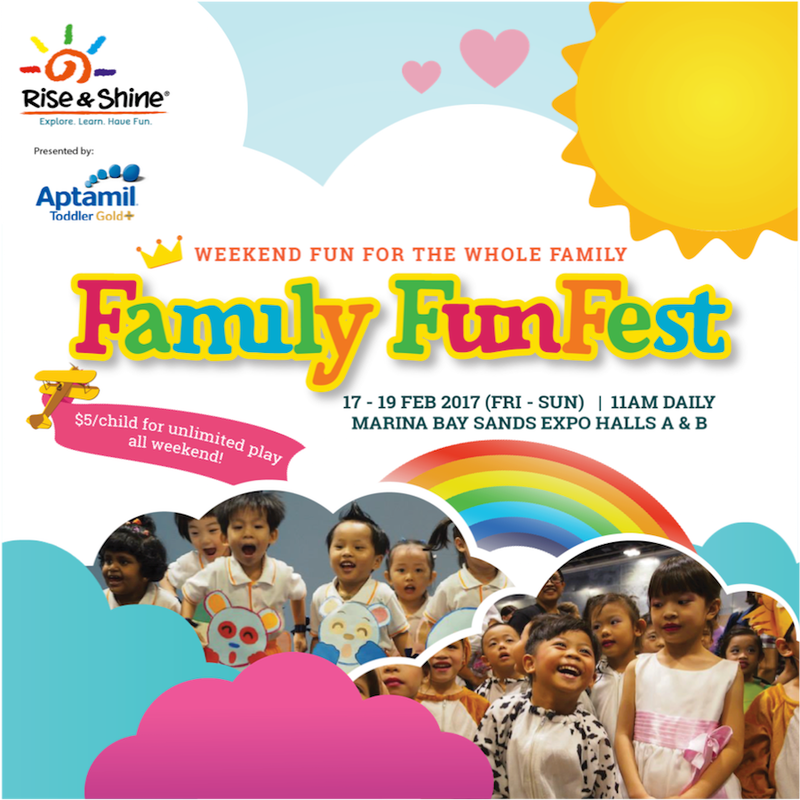 It will be a fun and exciting weekend packed with lot of family bonding activities, games and contents! Joining with such family events are great for family bonding time and to give the kids the experiences of engaging with community. Kids will sure love to join with the contests and games and don’t forget the goodie bags which are eligible for those who buy tickets using the special promo code. Join me at Rise & Shine Family Funfest – Indulge in a Weekend of Family Fun! Special 1-for-1 promo for Diary of a New Mom readers! Each kid also receives a $50 goodie bag at the event. Use the promocode: DIARYOFANEWMOM upon checkout: $5/two kids. If you have 3 kids, please register the third kid separately. Promo ends 5 Feb.Visit here to get your tickets for promotional price. To join with the Giveaway, simply follow the below steps and use the Rafflecopter for your entries. Below are the steps to follow,but you need to use the rafflecopter to qualify your entries. That’s it. You can be one of the lucky winners!